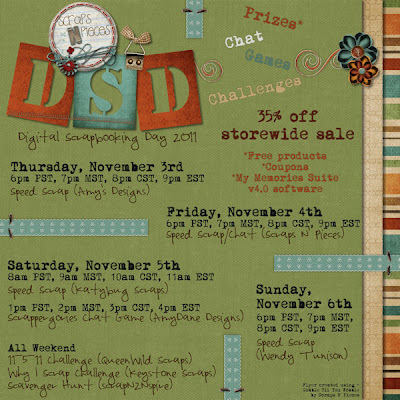 The designers at Scraps N' Pieces have planned a fun Digital Scrapbook Day weekend! The entire store will be at least 35% off. Watch my store for possible "hidden" coupons. We have something going on everyday - Speed Scraps, Games, Challenges, and LOTS O' prizes. Come on over to SNP and join the fun!! 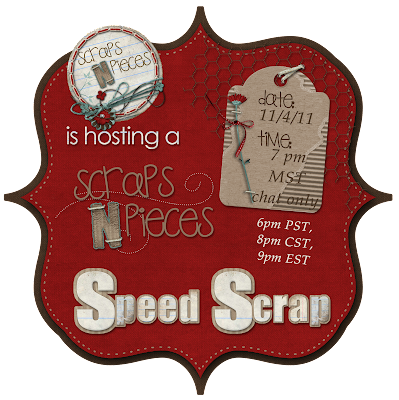 Lori & Heidi from Scraps N' Pieces will be hosting a speed scrap in CHAT ONLY. You don't want to miss it. Instructions will be VERY easy since there will be a lot of chatting and EVEN MORE PRIZES. Be sure to wake up bright and early on Saturday. 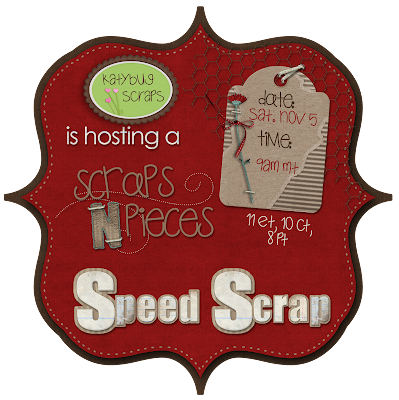 Katybug Scraps will be hosting an early morning Speed Scrap. Check out that prize - you just CAN'T pass that up.